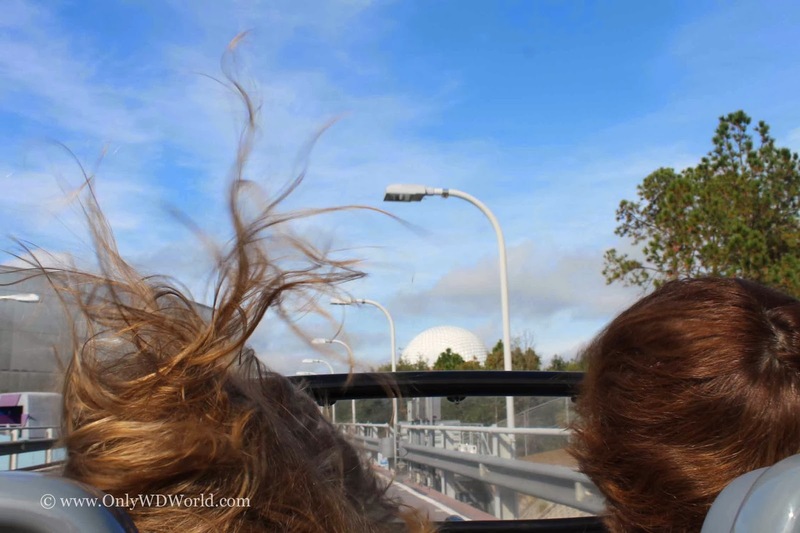 Disney World thrill seeking guests know that if they want to experience the fastest attraction at the Walt Disney World Resort they need to head to Epcot to ride Test Track. 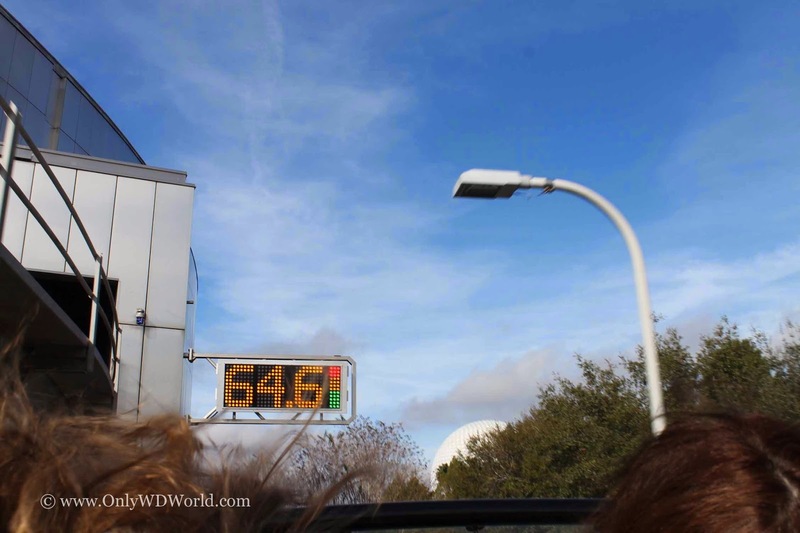 Guests that haven't been to Epcot in a while will still get to experience the 60+ mph top speed, but they will notice many changes to this very popular attraction. 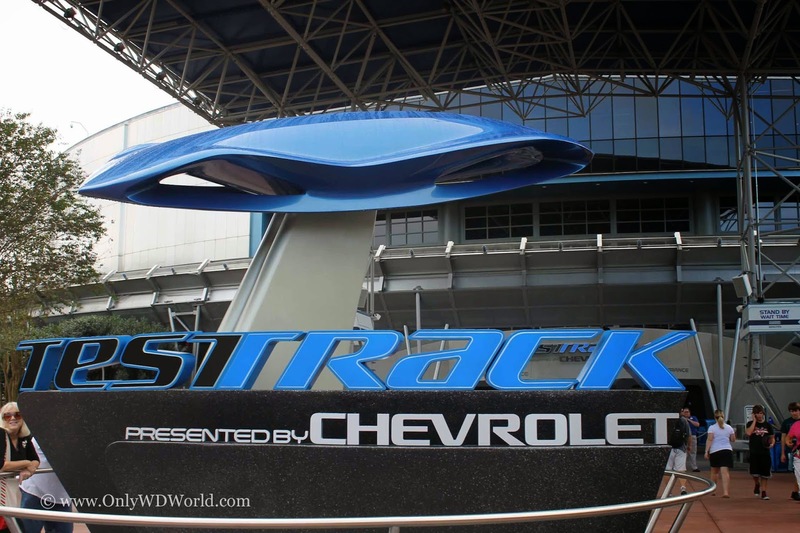 During 2012 Test Track underwent a substantial redesign and refreshing that gives the attraction a new look and provides a different experience for the guests. 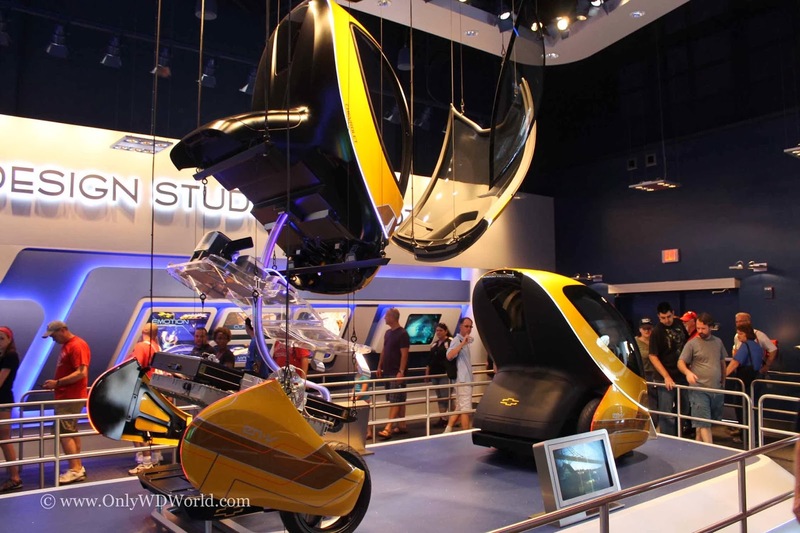 From the moment you enter the building, you will realize that instead of crash test dummies and car parts being smashed and tested, you are looking at prototype vehicles and design concepts. 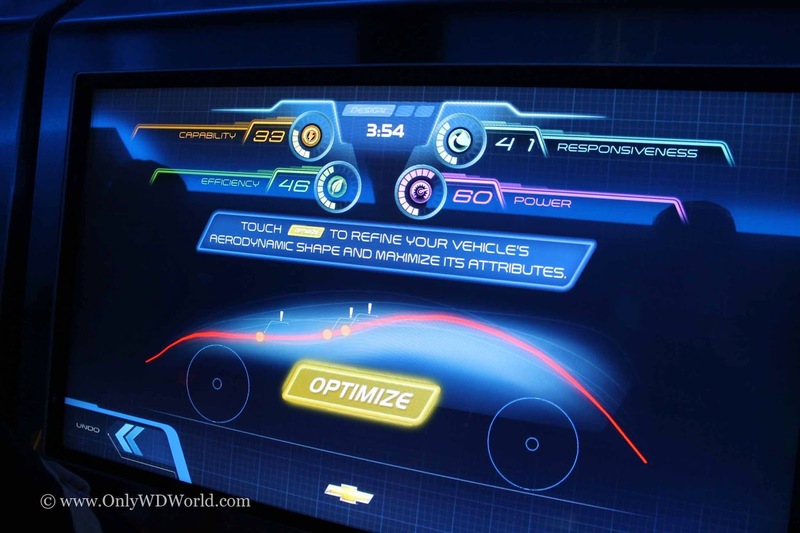 Instead of focusing on the "Testing" aspect of car building, General Motors now focuses the attraction on the designing process. 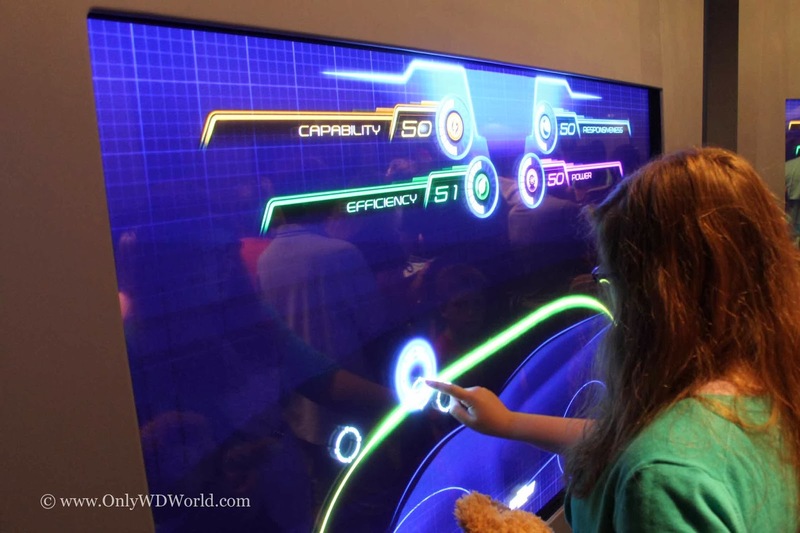 This switch makes the attraction much more interactive and it engages the guests to think, in a fun way. 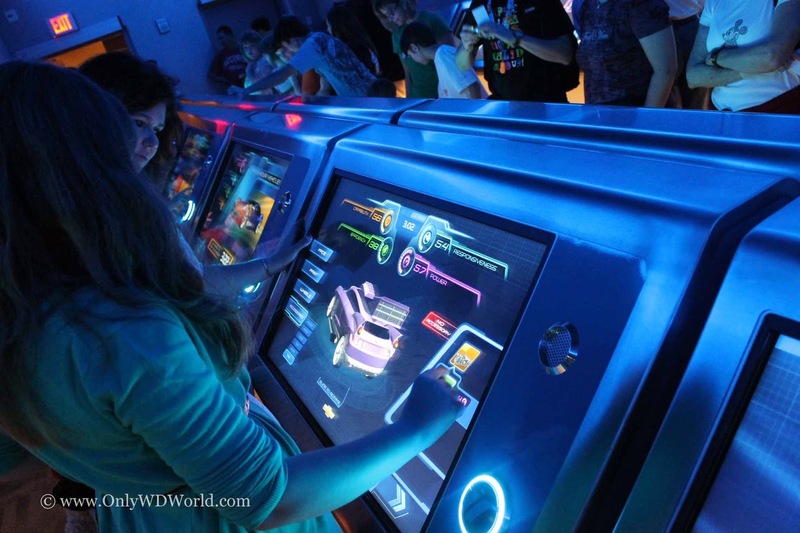 Much like the original Epcot and the premise that it was built upon, it looks to inspire future scientists and engineers. 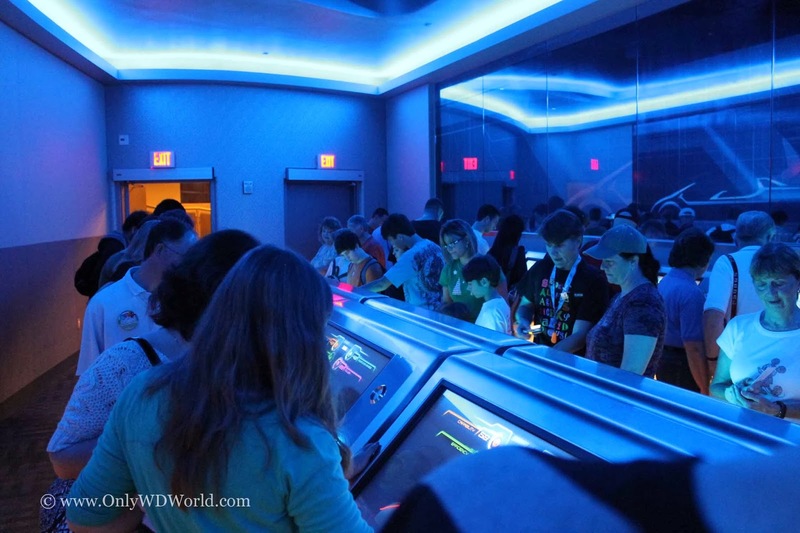 The pre-show now takes on a much bigger role than a staged queue before boarding the ride. 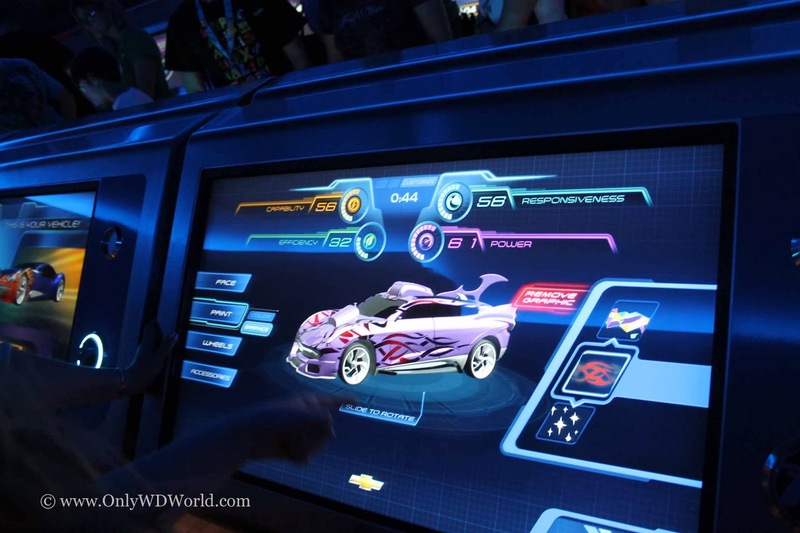 After seeing the concept vehicles, the guests are engaged with a fun "game" while waiting in line, trying to optimize the design of a car. This will take you up to the design studio, where the real fun will begin. 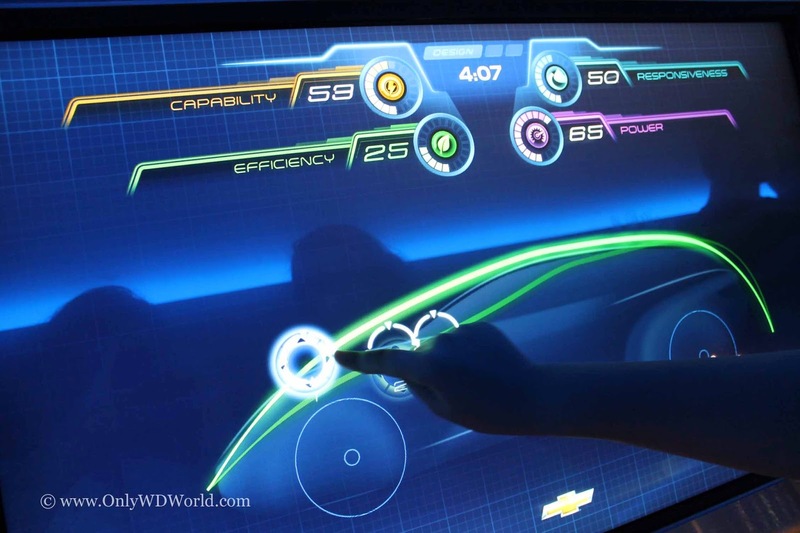 In the Chevrolet Design Studio, you will get to design your vehicle. Then you will get to take your design and simulate it on the Track Track proving grounds. 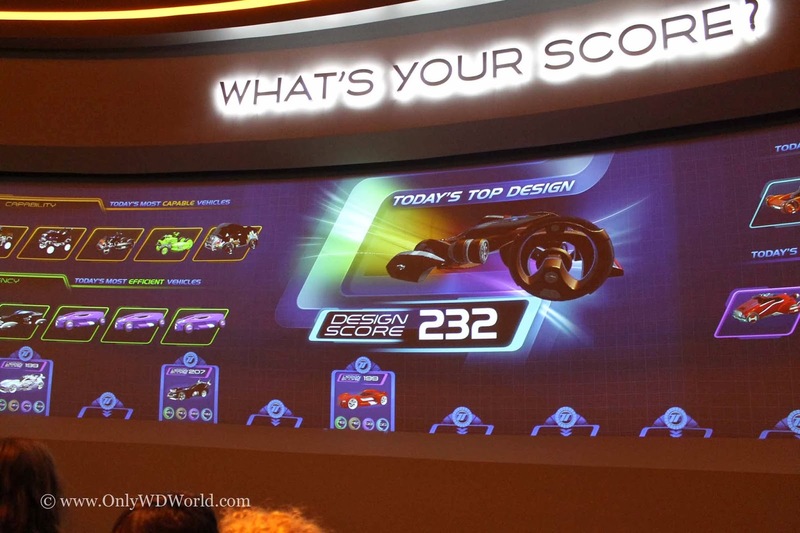 Each person or family can design their own vehicle in the design studio. Here you try to make modifications to the car to fit your needs. There are four different criteria that are noted: Capability, Efficiency, Responsiveness, & Power. The rest is up to you, from traditional to wild, you really have a lot of leeway to come up with radically different designs. You learn about trade-offs in design that engineers experience in the real world. At the end of the day, it is about creating the design that fits you and is the result of your imagination. Once the design is complete it is time to head to the Test Track! 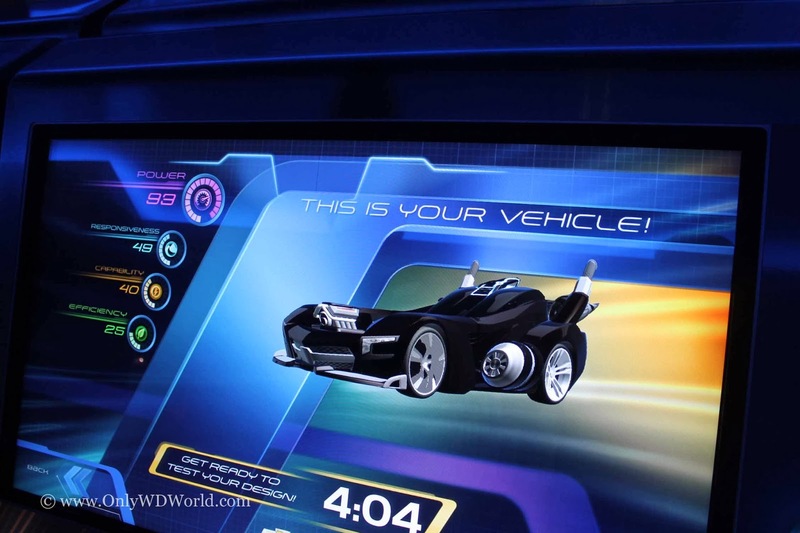 You scan your design into the terminal before you board your vehicle. Your design is carried throughout the testing maneuvers. At the end of the day you still go fast! Most of the Ride Part of the attraction are much the same although the building props look different. The thrill you get when the ride goes outdoors still can't be beat. 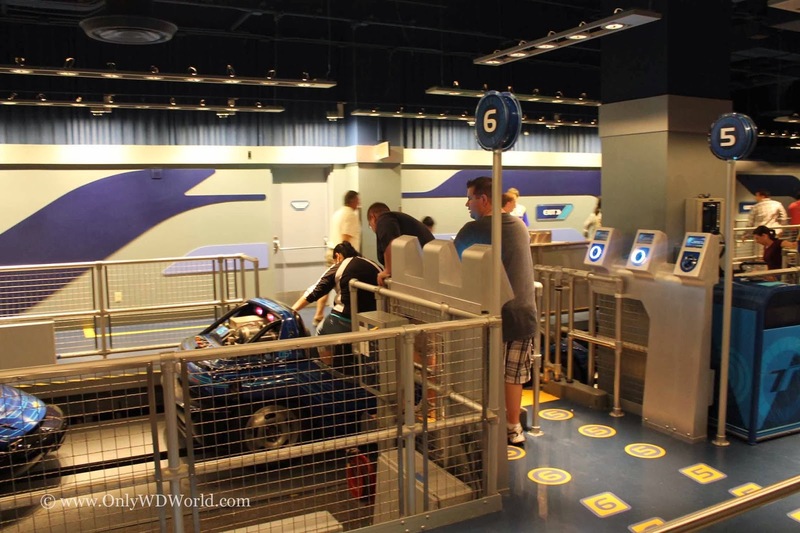 After you exit the ride vehicle there is still one last part of the attraction to check out: The Results! 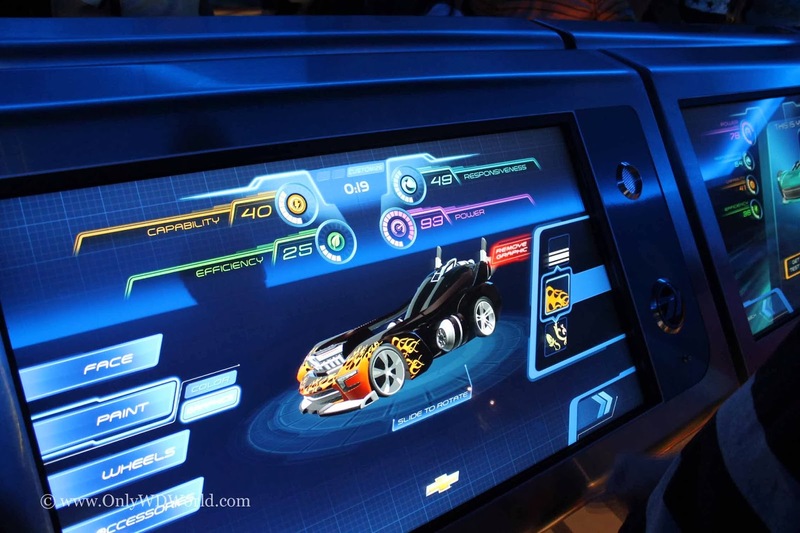 You get to see how well your design held up to the challenges of the test track and how it compares to the others that were designed today. 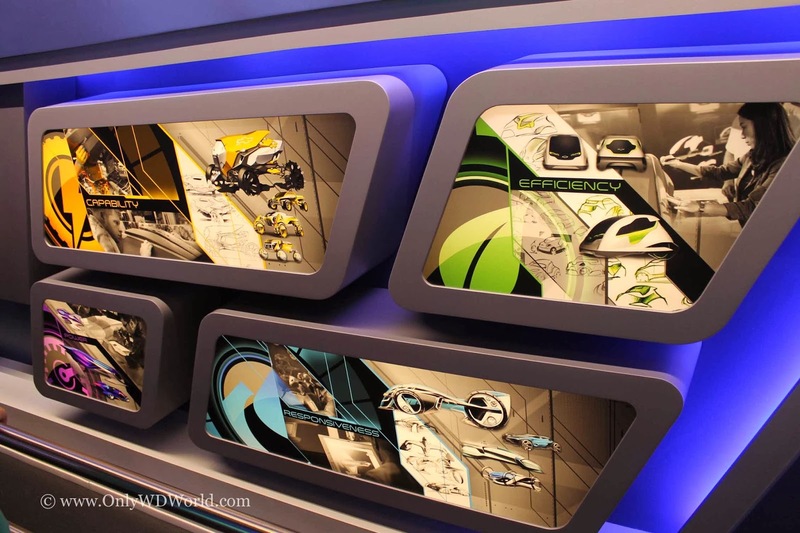 Whether you are happy about the ride portion or not, the overall attraction have become a much more interactive guest experience and I for one am a fan of it! 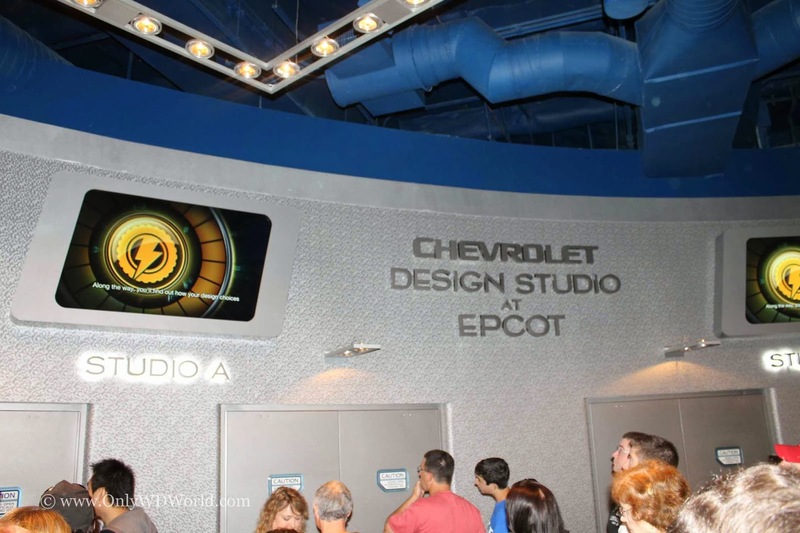 0 comments to "Test Track Brings Back Some Of The Original Epcot Focus With Redesign"